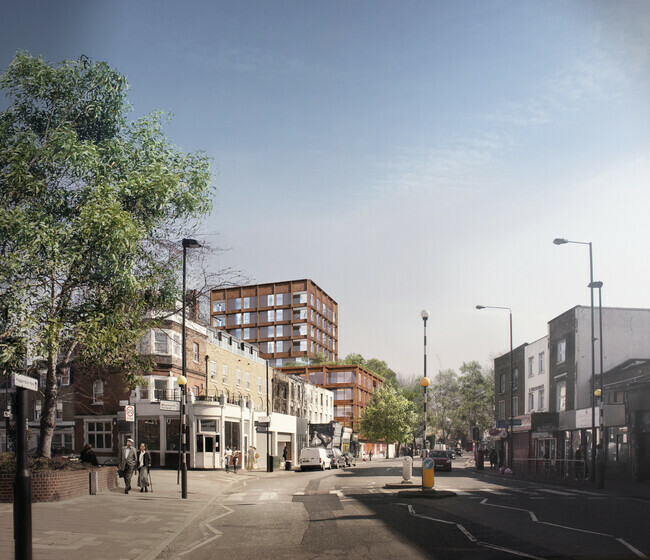 The proposal is for a distinctive, ‘landmark’ building, to create a mixed use building comprising commercial and residential uses, cycle parking and public realm improvements. 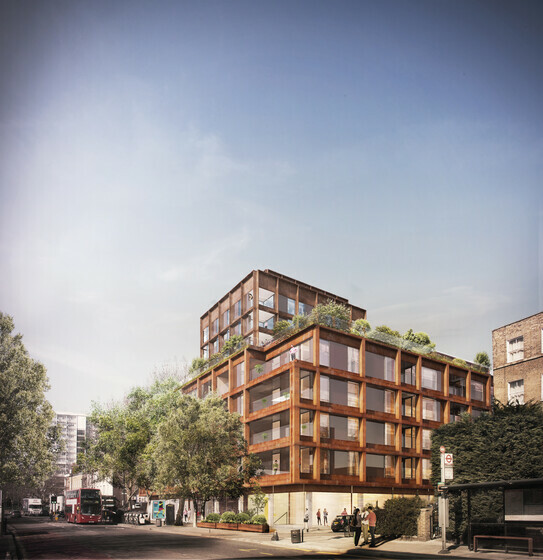 The building will be 10 storeys above ground. The ground floor will offer work space for a range of start-up businesses that will operate in a single shared space with a reception, meeting rooms, coffee bar and exhibition/training spaces. The development will be ‘car free’ but with extensive cycle parking at ground and basement levels. There is plant space refuse storage and cycle parking at basement level. Passive design measures have been adopted, such as efficient built form, high levels of insulation, airtightness, reduced thermal bridging and solar control optimisation for overheating. In particular, the proposed U-values, air permeability and thermal bridging will be better than Building Regulations Part L 2013 standards. Active energy efficient systems have been integrated. These include mixed mode ventilation (including heat recovery) and underfloor heating in the apartments, mechanical ventilation with heat recovery in the commercial areas, fan coil units (FCUs) in the residential and future commercial areas, highly efficient heating, cooling and domestic hot water (DHW) systems, energy efficient internal and external lighting, lifts and appliances and energy sub-metering. As the result of an initial feasibility study for low and zero carbon (LZC) technologies a central heating plant, including a combined heat and power (CHP) system, serving all apartments, and photovoltaic (PV) panels on the roof over Scawfell Street are proposed. Sustainability lies at the core of the project, by adopting a sustainable approach in design, construction and operation.